All vegetable, non-hydrogenated laminating margarine; in block form. Manufactured using the original artisan drum method resulting in a soft easy to use continental type product. 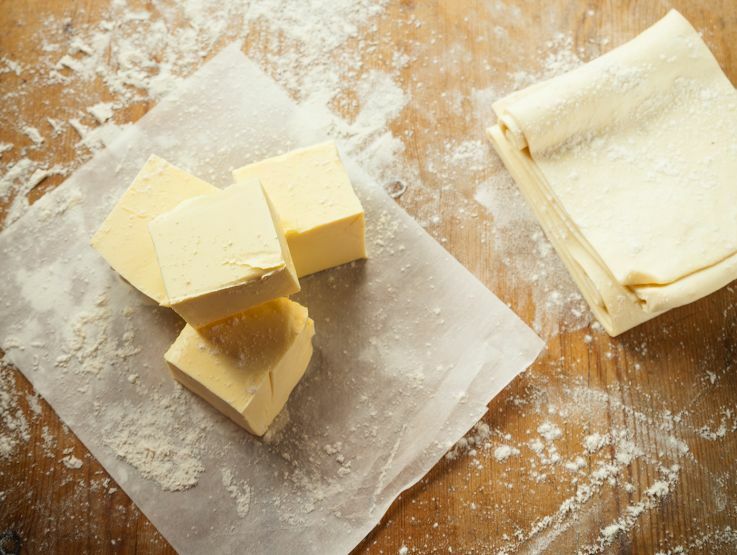 Uncoloured and unflavoured this pastry margarine has excellent tolerance that can be used in all pastry methods. Ideal for sweet or savoury puff. Palm Oil, Rapeseed Oil, Water, Salt, Emulsifier: Mono and Diglycerides of Fatty Acids.